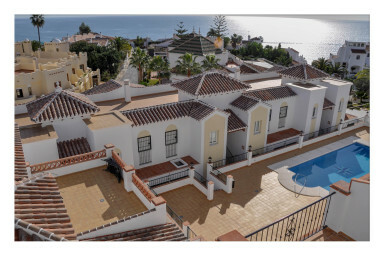 Nerja Paradise Rentals Is a Family Run Holiday Rental Company, Renting Self-Owned Villas with Private Swimming Pools and Apartments with Swimming Pools in Nerja. 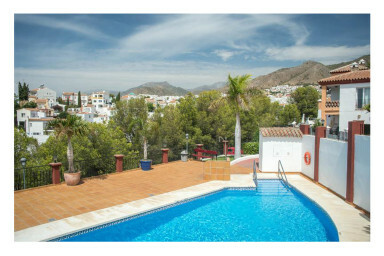 Book Your Perfect Holiday Rental in Nerja directly from the Owners. Our Own Rentals - for You! Rent your holiday home directly from us - the owner of all offered rentals. We stayed at Villa El Paraiso for 2 weeks in August 2017. The villa was amazing and really well equipped. The view were absolutely stunning. The team of Nerja Paradise Rentals was extremely helpful when we had a few queries during our stay and José responded immediately to any messages before and during our trip. We would definitely recommend staying here. Ich hatte mit meiner Frau und meinen zwei jungen Kindern (7 und 9 Jahre alt) die mehr im Zentrum gelegene Villa "Jazmines" gebucht. Es war alles bestens organisiert, wie im Vorfeld vereinbart. Die Villa war liebevoll eingerichtet und wir hatten unser eigenes kleines Paradies im Garten. Der Pool war schön und sauber. Wir hatten einen ständigen Ansprechpartner der immer mit Rat und Tat zur Seite stand. Der Einzug und Auszug verliefen absolut reibungslos. So macht Urlaub wirklich Spaß! We love Nerja and we come very often. We book here because you can rely on the experience of this company. The staff has a lot of flexibility and takes care about all wishes. All time friendly and willing to provide a great service at a very reasonable price! We come back soon :-) Thank you so much! © 2019 nerjaparadiserentals.com. All rights reserved.